On a beautiful and sunny September morning I set off early to join Jonathon from Cape Kayaking and two delightful locals to head out along the Herring River in Harwich to enjoy what is one of the top kayaking spots on Cape Cod. 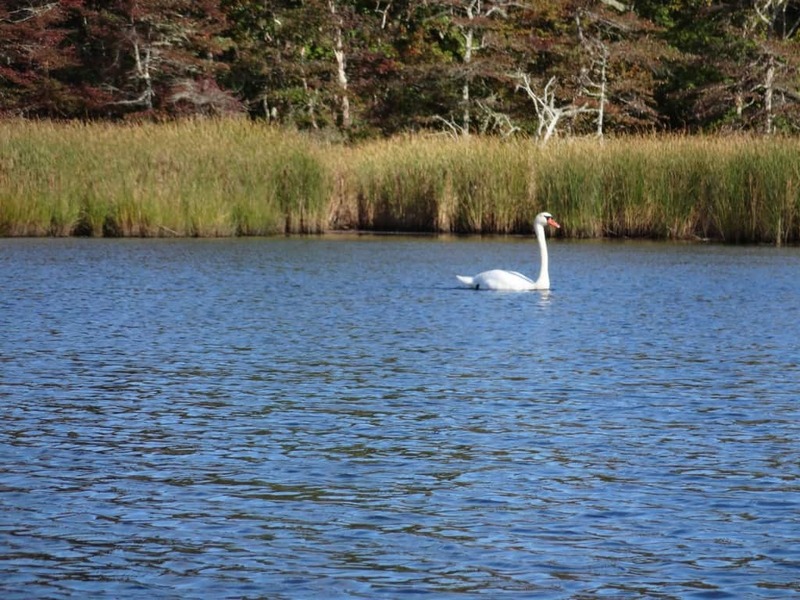 The Herring River is surrounded by 200 acres of unspoilt marshland and the pristine Bell’s Neck conservation area (Harwich is home to more conservation area than any other Cape Cod town! ), which plays host to an abundance of wildlife. As we wound our way through the marshes and woodland we were accompanied by blue crabs, fiddler crabs, hawks, kingfishers, cormorants, blue herons, sandpipers, waders, ducks, ospreys diving for their dinner and swans regally floating along the river. We may even have seen an elusive Red Knot but didn’t want to get too close for fear of startling this endangered wee fellow. 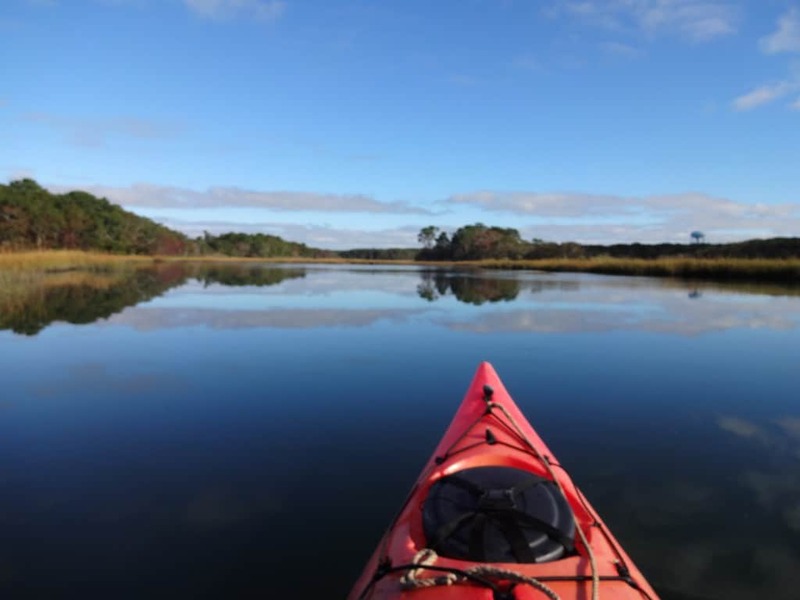 The Herring River connects Nantucket Sound with the West & East Reservoirs, which were ancient cedar swaps that were intentionally flooded to create reservoirs, and then further up to the Harwich lakes of Long Pond, Seymour Pond and Hinkley’s Pond. The Herring River is one of the most important herring spawning sites in Massachusetts and every spring the herring-run is a fascinating spectacle to behold as the herring fight their way up stream along the salt water river and then climb the herring ladder into the fresh water reservoirs to spawn. 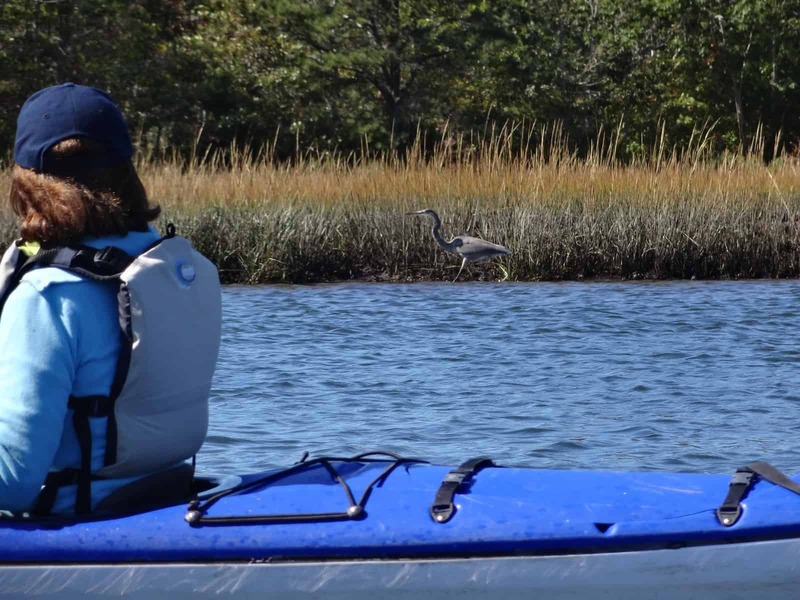 The launch area on Rte 28 for the Herring River is only half a mile from The Platinum Pebble Boutique Inn so this area of natural beauty is literally right on our doorstep. 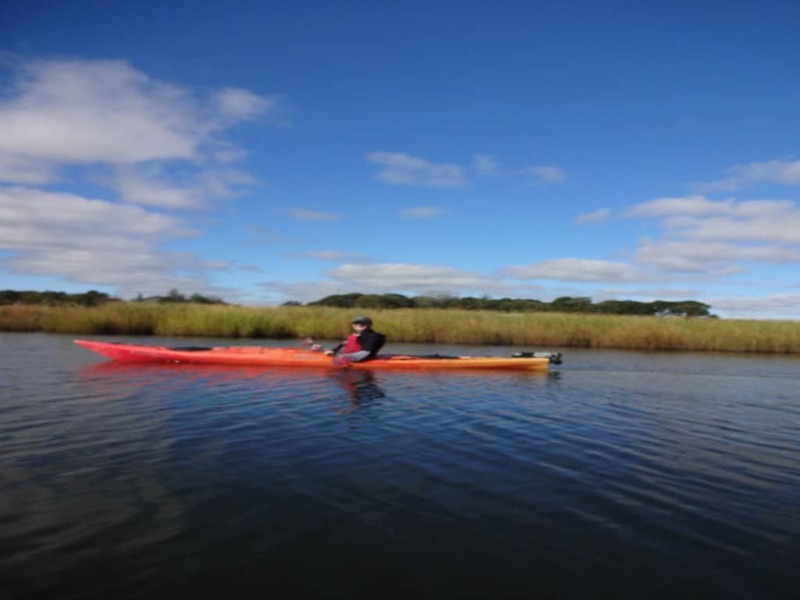 Cape Kayaking do regular tours of the Herring River as well as the Lower Cape’s other two great kayaking areas of Nauset Marsh and Pleasant Bay.